Chairs now come in so many different shapes, sizes and colors that a bride who covets high design style can have any seating arrangement imaginable, says Sasha Souza, a California-based celebrity wedding planner and author of “Signature Sasha: Weddings and Celebrations to Inspire” (Beaufort Books, 2015). 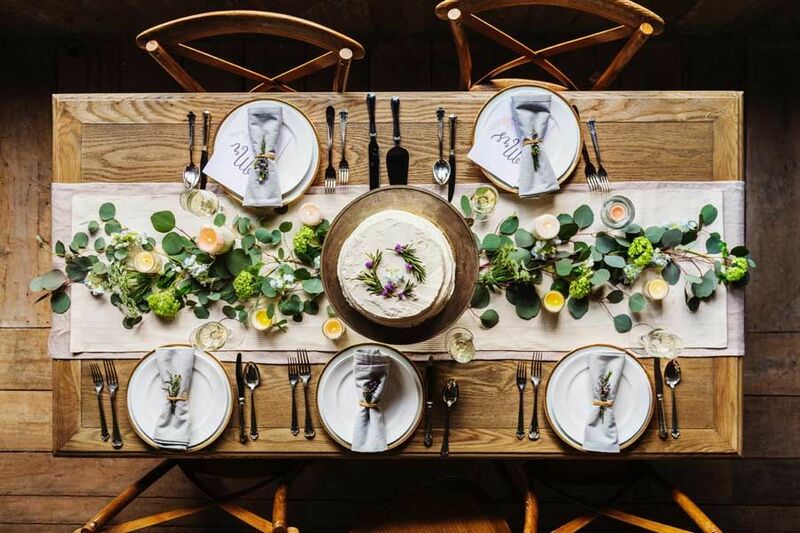 Depending on the theme, setting, vibe and formality of your event, you can do everything from rustic wood, iron and wine barrel-inspired seating, to banquettes mixed with deco-inspired chairs, or a combination of benches, couches, loveseats or ottomans. If you’ve opted for a fun, party-like atmosphere, Souza even suggests pairing tall bar stools with cocktail tables, or surrounding low tables with big floor pillows. Another increasingly popular option is the chic, modern (and plastic!) Ghost Chair. Available in a variety of colors, such as crystal clear, white, black, red and ice blue, the look they create is sleek, tailored and elegant, says Brian Worley, celebrity event planner and co-owner of Santa Monica-based YourBASH! Event Production. Worley also is a fan of the classic Chiavari chair, which comes in natural wood, neutral tones and metallics, or can be custom-painted any color from canary yellow to hot pink. Whatever version you select, you can dress it up further with a decorative cushion, cap, sleeve, cover, tie or belt. Wildflower Linen has created a line of covers and caps that are almost works of art (think flowers, beads, spangles and numerous textures, patterns and fabrics, including leather! ), and provide a totally different look and appeal, says Worley, who also recommends La Tavola and BBJ Linens. Want additional accessory ideas? Souza recommends embellishing chairs with flower clusters or ribbon streamers, and Worley advises adding seating cards or a lovely gift bag that contains each guest’s favor.